Small kitchens are every wannabe chef’s worst nightmare: navigating around a tiny cooking area can be a huge problem if the space was poorly designed, to say nothing of attempts to whip up culinary masterpieces and four-course family lunches. 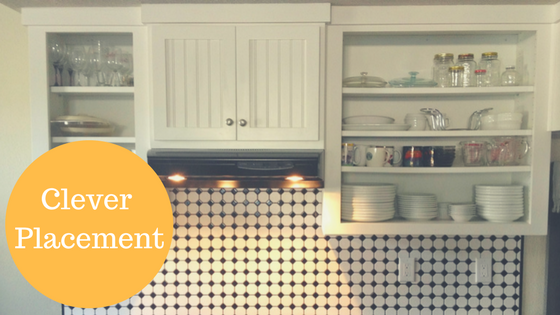 The good news is there are many ways to survive a diminutive kitchen and preserve peace of mind. Sounds impossible? It’s not, really: put these five smart hacks to use and your cooking area will be ready for all gastronomic challenges you decide to throw its way. If you’re struggling to cram all your dishware into matchbox-size storage units, you don’t have to throw away half of your pots, bowls, and pans just to stay on top of basic kitchen functionality. Simply identify hidden space in your kitchen such as a vacant corner or room above the cabinet and use it as spare storeroom to pack lightweight items you don’t use every day, such as bulbs, batteries, and kitchen appliances you use on special occasions only. Expert tip: put the items in enclosed units before putting them up atop the cabinet to prevent them from collecting dust. 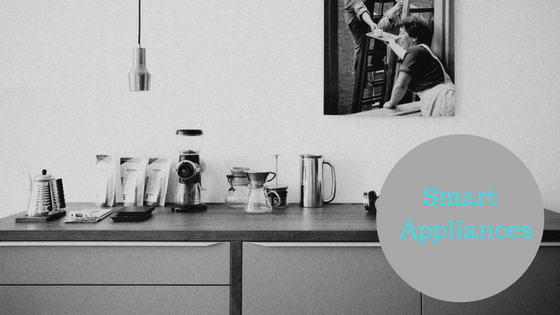 To make the most out of a small kitchen, think of its spatial capacities as either active or passive zones. 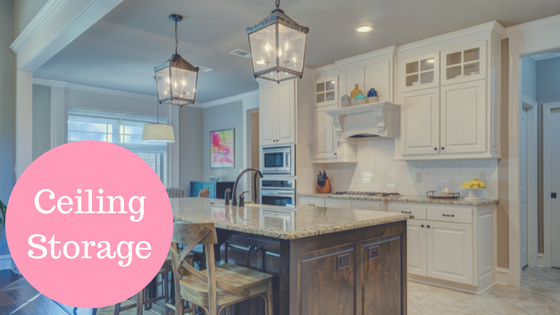 This means the fridge, table, chairs, storage units, and other hardware should be placed to ensure maximum kitchen navigation ease. The layout that offers superior functionality while not compromising the kitchen’s aesthetic value will work best in the long run, and it will also dial up your property’s market value and possibly even trim total DOM time if you decide to sell your home at some point. Another way to boost the functionality of a modestly-sized kitchen, switching to multifunctional appliances will save you space and cash down the road. By swapping a stack of classic appliances for a single device such as a KitchenAid food processor with multiple add-ons, you’ll get all the functionality you need without the exorbitant price tag or spatial footprint that goes with it. In addition to functionality, versatile kitchen devices also promise superior quality and durability so you can rest assured you’ve made a smart investment. 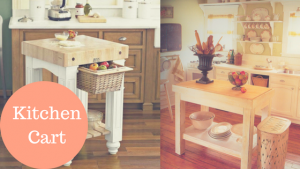 People who live in homes with tiny kitchens shouldn’t go throwing in random props and extras, but a rolling kitchen cart won’t go amiss as it will double as storage space on the wheels. On top of the stylish airs a rolling kitchen cart will add to your guest entertaining sessions, the accessory will also serve as a makeshift kitchen island and extra counter space which you’ll be able to bring into the kitchen when you need it and slide it to the side when not in use. 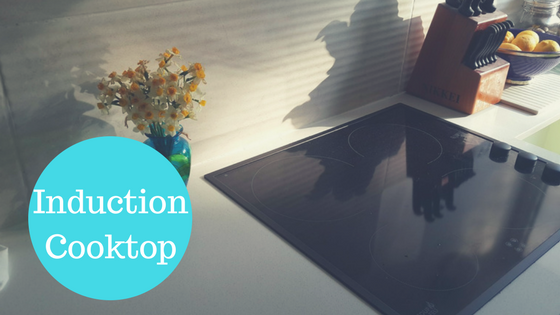 Induction cooktops are a godsend for a tiny kitchen as they entail increased speed and safety of use, energy efficiency, cleanup and control ease, and lower spatial footprint compared to classic cookers. In addition to that, induction cooktops are a nerve saver for family homes with kids as only the pan gets heated while the cooking surface remains cool, which makes induction ranges a child-friendlier alternative to conventional cookers. For even greater functionality, induction cooktops can double as additional bench space for the food prep should the need for it arise. 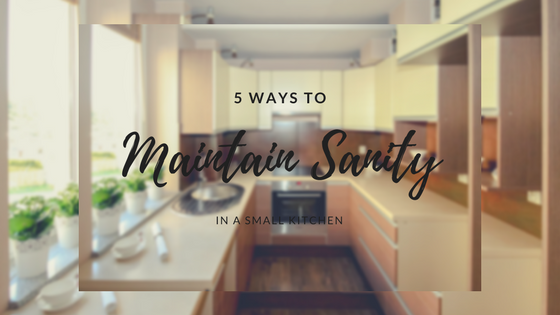 Surviving the limitations of a tiny kitchen and making the most out of its tiny spatial capacities is highly feasible granted you know how to go about it – and if you’re still here, you now do, so use the tips above to hack peace of mind and superior functionality of your kitchen. Bon appétit! Thank you Emma for your wonderful guest post on ways to gain some peace of mind and sanity with these clever kitchen ideas. All photos from Emma Lawson courtesy of Pexels and Google marked as usage rights-labeled for reuse and edited in Canva by Emma. Emma Lawson is a passionate writer, online article editor and a health enthusiast. In her spare time, she likes to do research, and write articles to create awareness regarding healthy lifetsyle. She also strives to suggest innovative home remedies that can help you lead a quality and long life.